After last year's traumatic withdrawal of the Galaxy Note 7 smartphone, which turned out to be a fire hazard, Samsung is hoping to turn the page with the release of the Galaxy S8. The company this week began releasing details about the device. 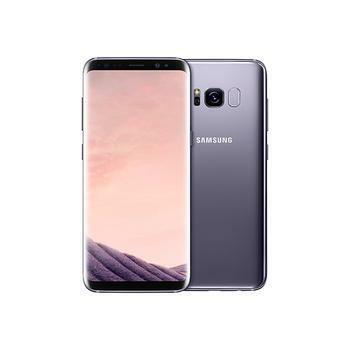 The Galaxy S8 and Galaxy S8+ will be the company's flagship smartphones, designed to go head to head with the Apple iPhone, which got a huge break last year as its rival struggled with the Note 7. Samsung is touting the S8's Infinity Display, as well as the introduction of new services and apps. It promises the new phone will bring a new level of functionality and convenience. The reference to safety obviously has to do with the fact that the company's most recent smartphone offering had the distressing tendency to catch fire. It occurred in dozens of instances when the lithium ion battery overheated and exploded. In one high-profile case, captured on a video that went viral, it occurred on a commercial aircraft moments before take-off. It prompted airlines to ban the device from flights. In praising the new device's other attributes, Samsung says the S8 raises the level of performance, equipped with a 10 nm chip, boosting speed and efficiency. The camera features an 8MP F1.7 smart autofocus front camera and 12MP F1.7 dual pixel rear camera. Samsung says the new device is optimized for video viewing, providing much richer colors than in previous models. It's graphic technology is optimized for gaming and comes with Game Pack, which includes a variety of popular games. In its review, Tech site CNET focuses on improvements in Bluetooth technology. It says the phone's Bluetooth 5 short range networks send data twice as fast or four times as far. It also says Samsung spent a lot of time and effort on developing a battery that doesn't overheat. The phone is available for pre-order at many retailers, including Sam's Club, which is also offering members who order the phone by April 12 a free Samsung Gear VR and controller plus $50 in Oculus content.